Maybe I am not doing my job well enough.... Spread the word, people! The Phuket Weather Blog tells the truth. 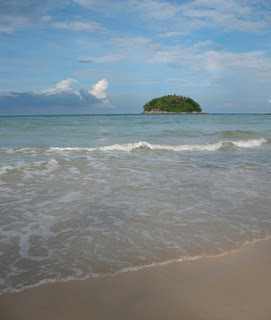 It's sunny, it's hot, another beautiful day in Phuket, another beautiful "wet season" day. I can't say it enough times - this is a good time of year to visit Phuket! But it seems the old low season/monsoon myths are still enough to put people off. Help Me! If you have a blog or website, please link to the Phuket Weather Blog! Wednesday was very hot, I was baking by 8:30am standing outside our kids school. Sunny all day, seas calm, ideal for diving, but guess what? Hardly any divers about. 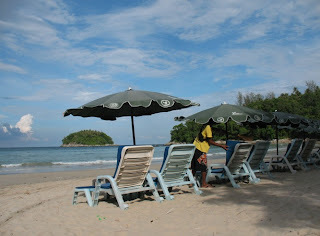 If you want uncrowded dive sites and cheap hotels, get thee to Phuket now!